At Dalseth Family & Cosmetic Dentistry, our office is equipped with advanced digital x-ray technology to deliver the highest quality images under the lowest levels of radiation. Digital radiographs produce between 1/10th and 1/100th of the radiation of conventional x-rays making them safer, quicker, and easier than in the past. With a variety of image customization options, digital x-rays are also more diagnostic than processed film. When we take a digital radiograph, the image is immediately available on the computer in the treatment room. This allows your dentist or your hygienist to quickly and thoroughly review your films and include you in discussion about the results. 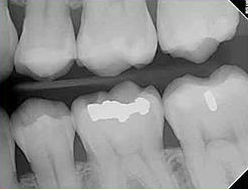 At Dalseth Family & Cosmetic Dentistry , we use periapical x-rays (called PAs in dental jargon) to look at the tip of the roots of your teeth and the surrounding bone structure. These x-rays are very useful in cases of trauma or for patients who are experiencing dental pain. These images help your dentist to view a tooth in its entirety and are used in the treatment planning and treatment of endodontic lesions (root canal therapy). Panoramic x-rays give us the “big picture” image of your teeth and craniofacial structures, including jawbones and sinuses. Your first panoramic x-ray is necessary around age 8, when you begin to get your permanent teeth. We recommend having a panoramic image taken every three to five years so we can keep an eye on changes that aren’t visible on other types of x-rays and to catch any pathological conditions like oral cancer before they advance. At Dalseth Family & Cosmetic Dentistry , we are proud to bring you the highest standard of care in x-ray technology. Our XG3D ConeBeam CT machine allows us to take an eight cubic centimeter, three-dimensional image of your teeth. From this image, we can diagnose fractures and cracks that are not visible on traditional x-rays, view pulp and nerve structures for more successful endodontic treatment, diagnose periapical infections in earlier stages, and plan for guided surgical placement of dental implants. 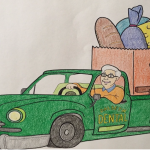 Because our machine is only taking such a small image, the amount of radiation is significantly lower than a standard CT scan would be and is comparable to that of a full mouth series of dental x-rays.